one of the highlights to my whale seasons is the arrival of 2 amazing girls, Matilda and Bonnie from Australia. Matilda has been out with us for 2 seasons swimming with an array of whales and witnessing the mating behaviours. Bonnie aged 4 came with us for one day this year and also saw a mating group of 10 Humpbacks and got to listen to a singer. 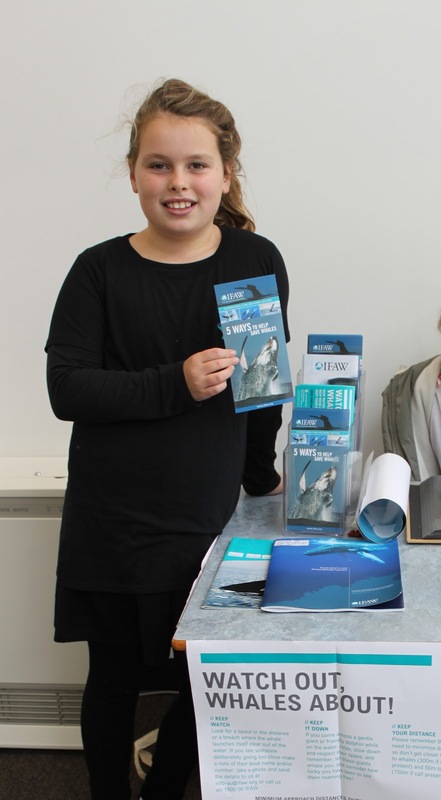 Matilda last year after her return from her trip with us, held a presentation at her school and passed around a petition to protect the magnificent Blue Whale and to raise awareness about the natural gas plant that is being built. Bonnie this year held her own presentation on her experiences with the Humpback whales, and told her class mates about how far they travel, how big the calves are and other important facts. 'Ofa'atu from me and the whales of Tonga. Your girls are amazing and that comes from yourself and Troy. I can not wait to turn the tables and come see you for dolphin swims.